PRODUCT DESCRIPTION: Cover that measures 11" x 12" x 30". Comes in oive green and is designed to be used with the traps listed below. 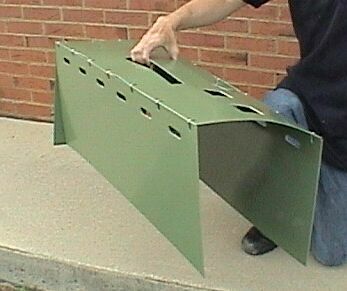 When fit properly, it will cover 4 sides of the trap and is good for eliminating the risk of getting sprayed by a skunk. 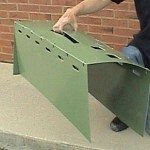 The cover also helps certain animals to enter traps comfortably such as rabbit and cats. Animals will also be less aggressive than if they were in the trap uncovered. RATE OF APPLICATION:One cover for each trap that you would want to cover.